From prenatal vitamins to apps that help mothers find the best time to make babies, the focus on fertility is often on the mother. In reality, the optimal act of conception is shared 50/50 by the mother and father. We know from research that when couples have difficulty with pregnancy 50% of causes come from the female and 50% from the male. Therefore, for a guy to truly be a “Super Dad” he needs to make sure he has super sperm. The ideal sperm are more likely to be found in males that have healthy lifestyles. Maintain a healthy weight. Having the right balance of hormones in your body is critical to a healthy sperm count. Excess fat tissue can cause those hormones to get out of balance and affect every aspect of your sperm’s health. Eat right. Fresh, whole foods, especially fruits and vegetables, have antioxidants and vitamins that help with fertility. Vitamins C and E are especially important. Processed fast foods may taste good to you but are not the best meals for your sperm. Don’t skip the workout. Exercise is great for healthy sperm production. One study found that weightlifting and outdoor activities were most effective for increasing sperm count. We recommend moderate physical activity for at least 150 minutes a week. Take your vitamins. Some vitamins – specifically D, C, E and CoQ10 – are important to the health of your sperm. Not everyone needs to take vitamin supplements if they get enough in their diet. It’s always good to check with your doctor on what may be a waste of money and what really will help your fertility. Stay out of the hot tub. Because sperm like to live and function at a narrow temperature range (usually two to three degrees less than your core body temperature) exposing your testicles to too much heat can cause fertility problems. Watch out for that laptop. The heat generated by a laptop can have the same effect as a hot tub if it’s sitting on your lap, so it’s better to put it on a desk or table when you work. Cut back on caffeine. Researchers in Denmark found that sperm count was reduced slightly in men who consumed too much caffeine. Try to stay under 300 milligrams a day, which is about 18 ounces of regular coffee. Energy drinks have a large number of additives which are a major no-no in my opinion. Stick to two to three cups of black coffee if caffeine is a must. Limit alcohol. That doesn’t mean giving it up alcohol entirely, but excessive alcohol has been shown to reduce sperm production. So just keep it to one or two drinks a day at the most. Don’t smoke. Or chew, for that matter. Tobacco not only reduces your sperm count, it makes the sperm you have less motile. Plus, smoking is linked to several cancers. Don’t you want to live longer so you can have more memories with your child? Stay away from testosterone. One common side effect of testosterone replacement therapy is stopping your natural production of testosterone. 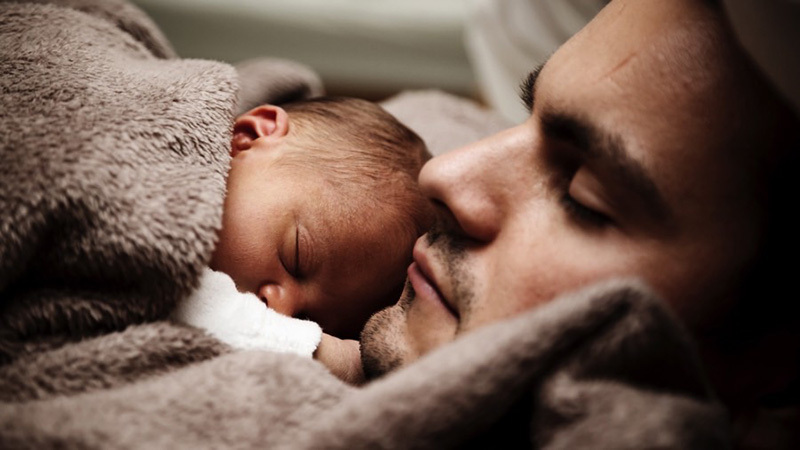 There are natural and medical ways to boost your testosterone without affecting your fertility – this is where you should really consult the expertise of a male infertility specialist. Following most of these recommendations will lead to improved health even if you’re not trying to start a family. So if attempting to conceive is what motivates you to improve your health, that’s great. Just remember, being a Dad takes lots of energy, so you might as well make these new habits a permanent part of your life.